Greetings! Welcome to Ashtabula Insurance Center. We are an independent insurance agency that is service driven. 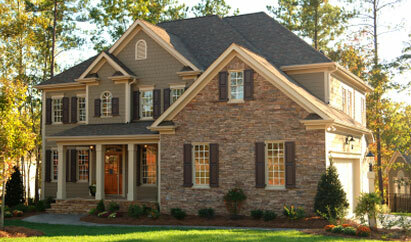 Our agency provides home, life, auto, and commercial insurance products. 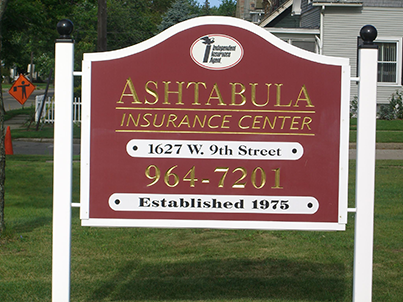 Ashtabula Insurance Center was started by Ben & Jo Bunnell in 1975. They served the insurance needs of family, friends, and neighbors for almost 20 years from their home, located in the Ashtabula Harbor. Ben & Jo’s son, Brent Bunnell, earned his college degree in Business Economics from the College of Wooster. He worked for Westfield Insurance Company after graduation, and returned home in 1991 to join his parents as an agent with Ashtabula Insurance Center. In 1992, the new office was constructed at 1627 W. 9th Street in Ashtabula, OH. Ashtabula Insurance Center continued to thrive in its new location. In 1999, we welcomed Tim Higgins to the Ashtabula Insurance Center family. Tim, a lifelong resident of Ashtabula, earned his college degree in Finance from Ohio University. Tim’s strong customer service and office management skills proved to be the perfect match. In 2004, he was offered to become a part owner. Both owners, Brent and Tim, have completed their Certified Insurance Counselor (CIC) designation. 1999 and 2007, respectively. Ashtabula Insurance Center celebrated its 40th Anniversary in 2015, and continues to grow. Kristy Vavpetic, the newest agent to join the Ashtabula Insurance Center family, came on board in January of 2017. Kristy earned her Bachelor of Arts in Sociology from the Bowling Green State University in Bowling Green, OH and is known for her outstanding customer service. Ashtabula Insurance Center represents five major insurance companies. This means we can quickly and efficiently compare coverages and rates. At the same time, we can offer our customers exceptional value for their insurance dollar. We look forward to getting to know our customers, and spend the necessary time to ensure they are properly covered.